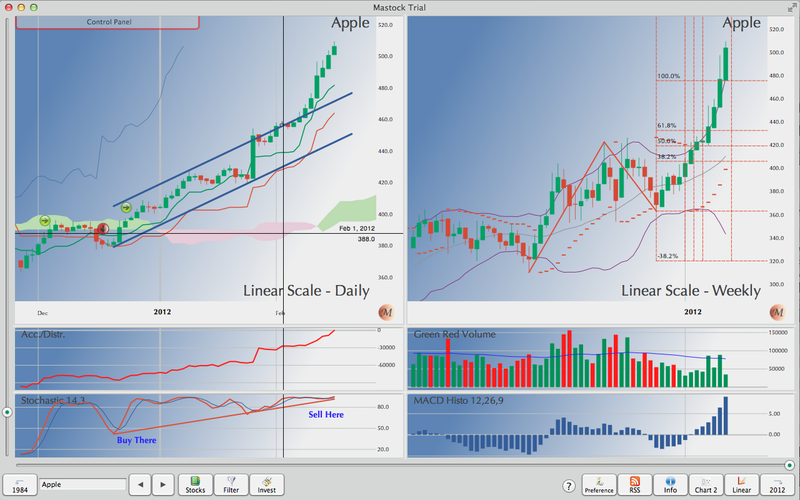 Mastock is a stock market analysis and portfolio management software solution for the individual investor, built exclusively for Mac OS X. With a compelling and intuitive one window user interface, Mastock’s analytical tools can be customized to fit your precise need. software, not just downloaded charts. update. Support multiple currencies portfolios. Support Options (Put/Call). Integrated Black-Scholes calculator. Ability to update quotes using files. Automatic format detection. Ability to add comments directly on the chart.